Where does it come from and what is the use of it? 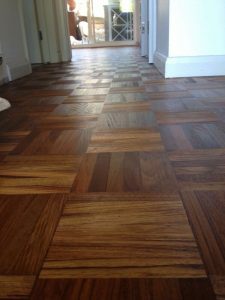 Teak floor sanding – getting some information is great place to start. Little about teak wood first. 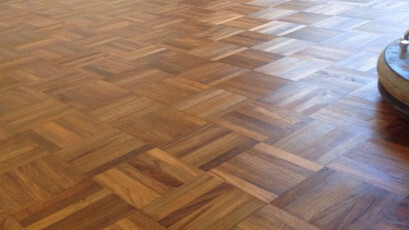 Teak is a tropical hard wood with very distinct fragrant compared to other timbers. 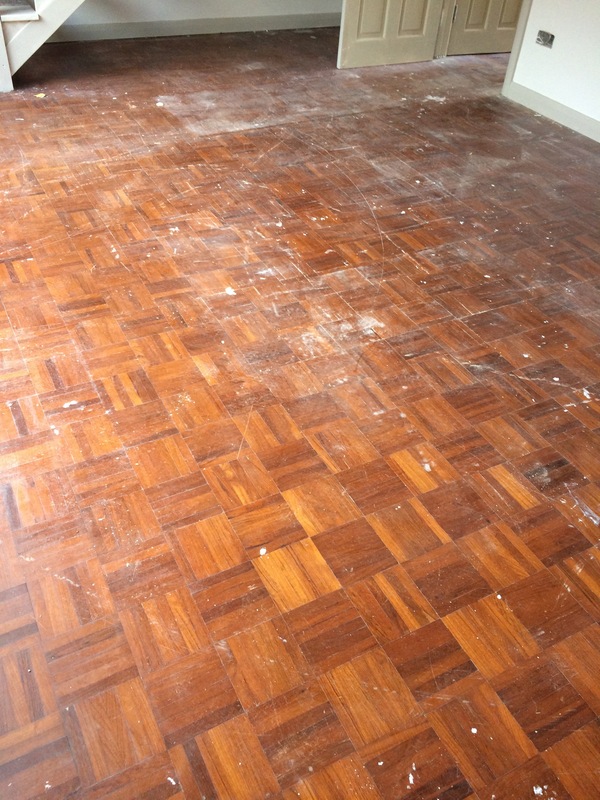 Although, it is very dangerous to work with as dust from sanding may cause heart attack. If your heart is not in the great condition. Due to this fact masks are advisable for those with weak hearts. 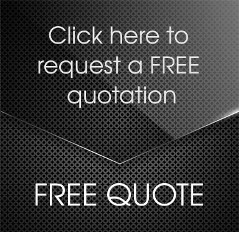 Durability and water resistant is the biggest value of this timber so it is used for boat building, outside construction, outdoor furniture and of course floor coverings. East and south east Asia create great environment for teak forest, so these are native regions for this timber, mainly India. Teak trees grow up to 40m high. Heartwood is much darker then sapwood so it can give us big variations on colour. 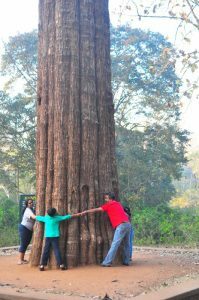 This is the largest leaving Teak tree which is 47m in height. 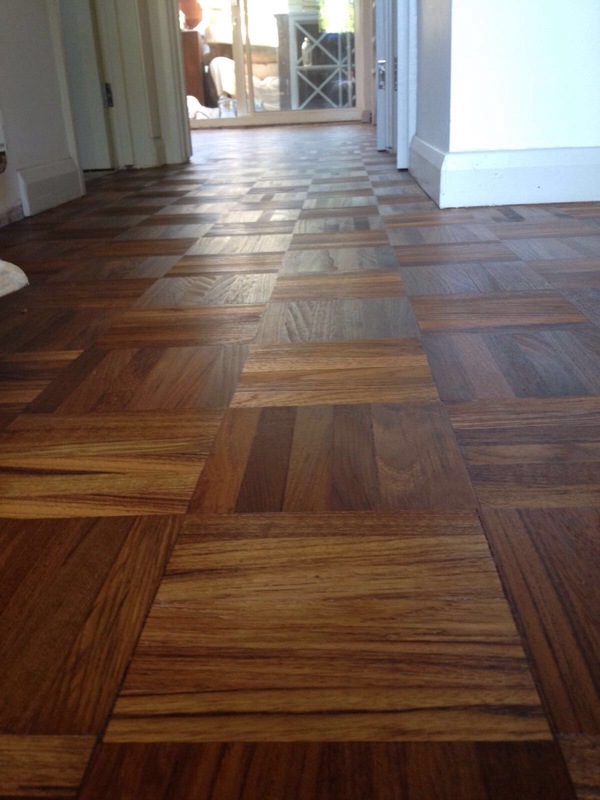 When we are sending the floor we never know how easy is to remove old finish. In this particular case, it turned out that it was not easy at all. We were using diamond blades to remove old finish and it still left melted residue on the floor., so we had go over with diamond blades once more. 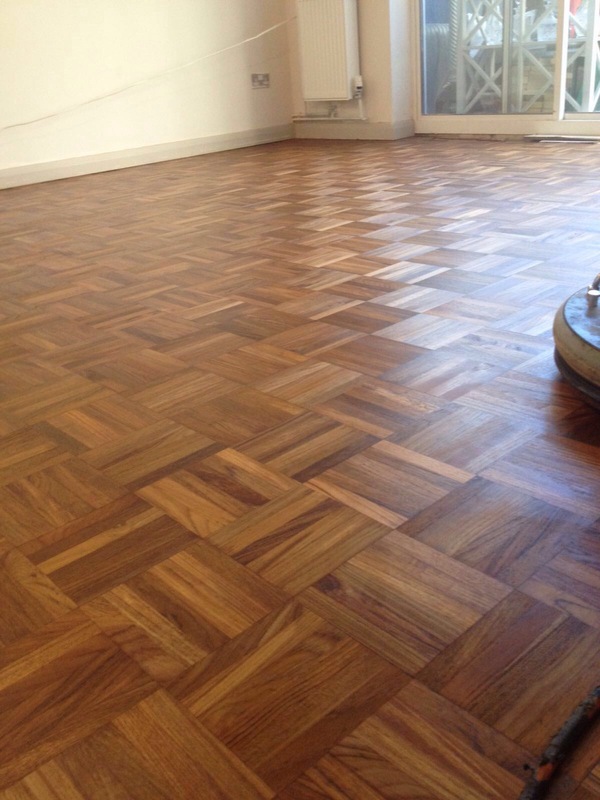 The job was incredibly challenging, but at the end, we managed to make this teak parquet floor looking better then customer expected. It is very rewarding to the client and to us to see how we can help you to get your floors looking often better then new with fraction of the cost. and finishing with magic oil we made it look like this. 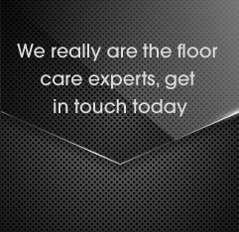 If would like to book free consultation how we can make your floors looking great get in touch now.